“I receive more than 30 calls each month… My business has nearly tripled!" No painting business can survive off of referrals alone. To keep your calendar filled with jobs … to generate predictable profits each and every month … you MUST have a proven source of continuous, high-quality painting leads. That’s what separates 99 Calls from the rest. You see, at 99 Calls, we don’t send leads to your competitors. We place your business in front of online prospects who will call you directly. We don’t give you stale leads that are weeks (or months) old. You get the leads directly, in real time. We don’t provide unqualified leads that rarely turn into revenue. YOU tell US what a qualified lead is. For Less than $30 each! The 99 Calls lead generation system is proven to deliver top quality painting leads. We start by creating a search engine optimized (SEO) painting website and mobile site exclusively for you. You get local traffic and real-time painting leads. Your business is featured whenever someone searches for local painters. We help you obtain excellent reviews and testimonials from your happy clients. Potential customers see your awesome reviews and give you a call right then! Each and every month, count on a steady stream of high-quality painting leads exclusively for you. Before long, you’ll get more leads, more calls, more jobs and more revenue! Our local SEO and local advertising experts know how to position your painting business as THE go-to source for quality results. We’ve proved it to hundreds of painters throughout the country. Sure, many of them were skeptical at first… but now they’re getting consistent, reliable painting jobs. "Seeking an estimate for exterior paint job- whole house and trim. Cedar siding on 3 sides and brick on the front." "Good Afternoon, I am the HR Director at *****, and we would like to have a quote on having 4 offices painted." Here’s how most lead services work: They sell the SAME exact lead to multiple painters. Because they’re starving for business, they ALL call this poor, unsuspecting person… then they all DROP their prices to win the job. If the prospect isn’t totally turned off by now, the winning bidder gets the job slightly over margin. FAIL! Exclusive Painting Leads: Your painting prospects come directly to you — they aren't doled out to multiple competitors. 99 Calls is a great alternative to shared lead providers such as HomeAdvisor, Thumbtack, Networx, and Painter Choice / PaintingLeads.com. High Quality, Real-Time Leads: All you have to do is answer your phone! Low Cost / High ROI: 99 Calls exclusive painting leads cost between $6 and $29.90 per lead. Because these are exclusive leads, from motivated buyers, our clients close a very high percentage, so a tiny investment becomes a major win! "I want to say many thanks to 99 Calls for the great service they have been doing in promoting our business North College Park Painting, LLC. Without 99 Calls we probably would have went out of business. I highly recommend to any contractor who wants to increase their sales - hire 99 Calls!" "This is the owner of J & J Custom Painting & Restoration Inc. We would like to express our greatest gratitude and thanks to 99 Calls The Lead Generation Company and the entire Customer Care Team for all the hard work they have provided to our company. We were looking for a good and honest company to build and maintain our website on a monthly basis with a fair price. They are great and we will not change them with any other company. Our goal and work has improved throughout this year and years to come. Thanks, 99 Calls and staff, you all are a great asset to our company J & J custom Painting & Restoration Inc."
"99 Calls is an awesome company. The customer service is top notch. It’s the best money that I’ve ever spent marketing my business. You have probably tried the rest, now try the best, 99 Calls." Start Getting Exclusive Painting Leads! As valuable as our lead generation system is, it’s really our team that makes 99 Calls stand apart. There’s a reason why we have earned and maintained an A+ Better Business Bureau (BBB) Rating. There’s a reason why our clients recommend our service to their friends and family. There’s a reason why most of our clients stay with us year after year after year. It’s our dedication to extraordinary service. We treat you like family. We do what we say we will do. We bend over backward to generate painting leads for painting contractors and help their businesses thrive. "Great Customer Service. The team is always working with me to create better success for my business! They're very helpful and informative." The following recommendations are genuine results from people just like you. These hard-working painting contractors simply wanted a more dependable way to get more leads, more business. They found it in 99Calls.com. 5★★★★★ - "Always helpful and very prompt. I get great value with this service -- better than the others." 5★★★★★ - "These guys are the real deal. I’ve been a painting contractor in Houston, Texas for roughly 20 years. I have wasted a lot of money on advertising companies Signed up with 99 calls two years ago, went through the growing pains which are expected for a large market like Houston and I can say this has been the best year in 20 years. Already booking into January 2019. Love and appreciate you guys at 99 calls." 5★★★★★ - "One of the best companies I have ever heard of. True customer service. They have done everything they can to take care of us and have never let us down, what an awesome reputable company. If they said it, then it’s true, work with them if you get the chance to. I would trust this company and all that they have to say." 5★★★★★ - "After many years of looking for an effective advertiser we were lucky enough to be one of 99 calls first customers! Not only do they deliver results, they are an amazing team to work with always! Thank you 99calls for your amazing service!" 5★★★★★ - "I have been using 99 calls for several years. They have definitely helped me grow my business. I would recommend them to anyone with a business." 5★★★★★ - "Great Customer Service. The team is always working with me to create better success for my business! They're very helpful and informative." 5★★★★★ - "I have been in business for the last 28 years in the Houston area and for the last 3 I have been with 99 Calls. They have been the best help for my business. I get referrals from satisfied customers and new customers from 99 Calls. Thank you guys." 5★★★★★ - "I want to say many thanks to 99 Calls for the Great services that they have been doing in promoting our business which is North College Park Painting, LLC. Without this company we probably would have went out of business. Since they started to do our advertisement I can see the difference. I highly recommend to any contractor who wants to increase their sales - hire 99 Calls!" 4★★★★☆ - "It's been a pleasant and good experience. We don't always get the jobs, but the call volume is great. Your company is in all the websites." 5★★★★★ - "This is the owner of J & J Custom Painting & Restoration Inc. we would like to express our greatest gratitude and thanks to 99Calls.com The Lead Generation Company and the entire staff Kathy, Danielle my customer service rep. and Brianna the Customer Care Team for all the hard work they have provide to our company. We were looking for a good and honest company to build our website and maintain our website on a monthly basis with a fair price. They are great and we will not change them with any other company. Our goal and work has improved throughout this year and years to come. Thanks, 99 Calls and staff, you all are a great asset to our company J & J custom Painting & Restoration Inc."
5★★★★★ - "99 Calls is an awesome company. The customer service is top notch. It’s the best money that I’ve ever spent marketing my business. You have probably tried the rest, now try the best, 99 Calls." 5★★★★★ - "Always prompt, helpful customer service and it really works, too! Quality leads and great value!" 5★★★★★ - "Excellent customer service with sites that rank extremely well. Thank you!" 5★★★★★ - "I'm really happy with 99 Calls. Nice people, amazing service. There are so many other companies that just don't work." 5★★★★★ - "We have been using 99 Calls for painting lead services for over five years. You are the only advertising service we need to use. Would recommend you to anyone!" 5★★★★★ - "I have been working with 99 Calls for painting leads for over six years. They have a professional team and they get the job done. I've been very happy with the leads they provide." 5★★★★★ - "Thank you so much for the new and improved site. I am very pleased with the way it looks and the services offered are way more in line with the services I am providing on a day to day basis. I am very excited to begin promoting the site and am grateful for the time you all spent working on it. Thank you!" 5★★★★★ - "Glad I came across 99 Calls and I like the way the leads keep coming. I have been able to let go of other lead companies and stick with just 99 Calls." 5★★★★★ - "Since joining up with 99 Calls we have definitely seen an increase in business and an increase in quality calls. I would highly recommend 99 Calls and have recommended to other friends in the industry." 5★★★★★ - "99 Calls has done what they said they would and more. I have so many leads coming in I can choose what kind of jobs I want to do. I would highly recommend 99 Calls to anyone in any type of business." 5★★★★★ - "99 Calls has dramatically increased our sales. We advertise with 6 different firms and 99 Calls is the most affordable and has given us our greatest return. It takes a couple months to get the leads flowing through but after that they will exceed your expectations like they did ours. I highly recommend them." 5★★★★★ - "I've been working with 99 Calls for almost two years. They are the only lead generation company I use. They make good on their promises and deliver the leads! 99 Calls has sent me quite a few lucrative jobs." 5★★★★★ - "I used to spend about $7000 per year in different companies like service magic, painting networx, yellow pages, bbb, and others. Now that I only have 99 Calls I am saving like 350%. And my results are by far better. I love them." 5★★★★★ - "I have been very happy with the prompt responses from your customer care department with changes to the web site. I'm also very pleased with the number of calls that I get through the website." 5★★★★★ - "I've dealt with a lot of marketing and lead companies and you guys are the best I've ever dealt with, bar none. I can't begin to tell you what you've done to help me grow my business. I'd recommend you to anyone." 5★★★★★ - "I've tried a lot of lead companies through the years and dropped them all. 99 Calls is the only one that has been legit." 5★★★★★ - "New customers are finding my business and calling! The website looks real nice and is well done." 5★★★★★ - "Best wishes to all of you guys and thank you for everything you've done so far I am extremely happy with your services and efforts." 5★★★★★ - "You guys have done amazing things for my business. No other company has brought me the volume of leads that you have. I'm blessed to have you." 5★★★★★ - "We have been with you guys 18 months and just came off our best month ever! We couldn't be more happy with your service. You've kept us very busy. Please keep up the great work!" 5★★★★★ - "Starting up with 99 Calls is the best business decision I've made. I've never been busier, and your customer service is the best. Thank you for your hard work." 5★★★★★ - "99 Calls was my introduction to Website advertising, and it has proven consistently productive. My company offers a variety of painting and construction services, and this has been an excellent way of "mass advertising" this wide range of capabilities. The staff of 99 Calls is readily available, and always eager to help in improving our Website. A skeptic at first, I am now a believer in this mode of advertising, and in 99 Calls as the agent. I strongly encourage any contractor / business owner to utilize their services." 5★★★★★ - "Best service I have ever used for marketing and advertising. Quality leads, great price. Diane and Fred are very straightforward and honest people." 5★★★★★ - "99 Calls is by far the best lead generation company I've tried. Their customer service is excellent, and they deliver the leads. I've now got them building two of my businesses!" 5★★★★★ - "Thank You!!! You guys are great!!" 5★★★★★ - "I'm very happy that I found you guys. You're keeping me very busy. I get more leads from you than any other services I've tried, and the leads that come in have been great quality." 5★★★★★ - "I'm not exaggerating when I tell you that 99 Calls has saved my painting business. We were struggling to make ends meet when you called to offer us lead generation services. I was very hesitant at first because I've been burned before by marketing people. In just eight months, we went from no work to hiring again! 99 Calls not only turned my business around, but it's put some good guys back to work as well. Your lead generation works like nothing else I've tried. I'm grateful for what you've done." 5★★★★★ - "Hi I'm Robert with Platinum Painting here in Lakeland Florida. I've been using 99 Calls for about 6 months now. And we've got a lot of work out of this. You get a lot of calls. It's well worth the money. Call them today." 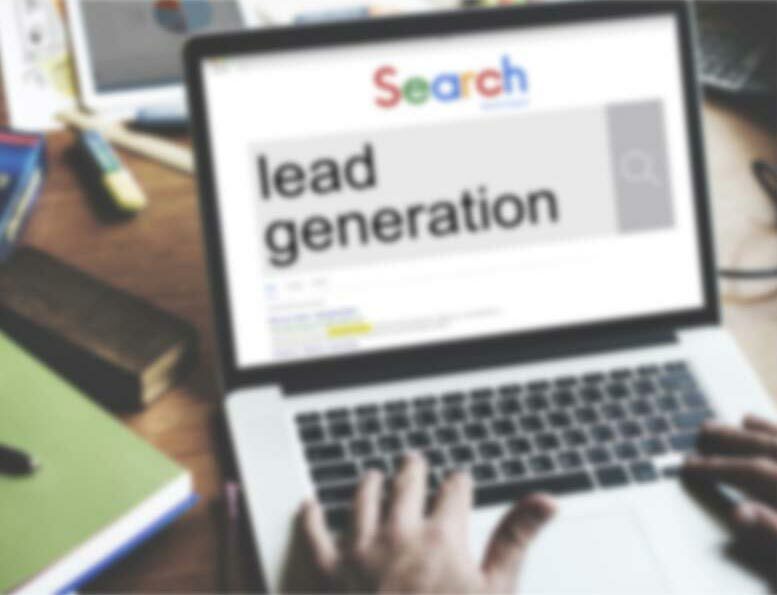 5★★★★★ - "I've used many other lead generation companies, but none have come close to delivering the leads that 99Calls has. I am very satisfied." 5★★★★★ - "We have used other companies for years but it was frustrating because they would send 3 or 4 contractors to the same lead, and even more frustrating when we couldn't even reach the leads. With 99 Calls we have generated more than $20,000 in sales in a short time and with little investment. Thanks 99 Calls!" 5★★★★★ - "Hi Paul Danieli, Danieli Painting. I've been using 99 Calls for about two years now, and the best thing about them is that when a customer calls you it's just you they're calling. Other companies that I used to use, you'd have three, four contractors you're bidding against. It just made it impossible to get jobs, especially when they low bid. I can't say enough about 99 Calls. Great company." 5★★★★★ - "Way better than the Yellow Pages!" 5★★★★★ - "I've been using lead services for years, but none of them compare to 99 Calls. You guys are really on to something! Congratulations and thanks for the leads."